If you’re a fan of retro eyewear, or if you’re old enough to remember when it was the “new thing,” you know that early plastic eyeglass frames were thick and pretty heavy for the poor nose that had to hold them up. 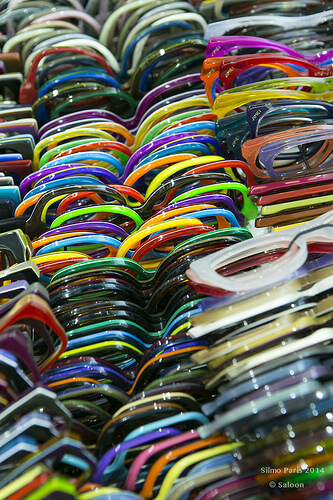 New colors for plastic eyewear emerged in the mid-20th Century, giving birth to the idea that eyewear is a fashion statement rather than a medical necessity. A variety of shapes also emerged in this era, but they were all pretty thick. We’ve come a long way since then to the modern, ultra light plastics that feature flexibility and über thin lines in a wild array of colors. Let’s take a look back to see how we got to where we are today. The first composition plastic used for eyeglass frames was celluloid – yup, the same stuff used by Hollywood filmmakers – which was invented way back in 1869. Technically, it was called cellulose nitrate, or nitrocellulose. The word “nitro” isn’t just a coincidence. This stuff was highly flammable. 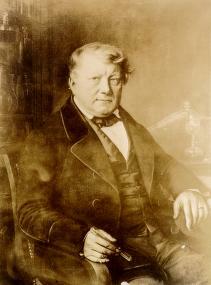 The story goes that German-Swiss chemist Christian Friedrich Schönbein (1799-1868 ) used the family kitchen to conduct experiments with a mixture of nitric and sulfuric acids. Even great chemists have “oops” moments, so when Schönbein spilled some of the mixture, he used his wife’s apron to wipe it up. The aprons of the day were made of 100 percent cotton, so Schönbein unknowingly mixed cellulose fibers from the apron into his nitrate compound. He hung the soiled apron up to dry above the stove and then he had a second “oops” moment when the apron exploded. Despite its flammable nature, cellulose nitrate – nicknamed “zyl” by the optical industry – was used for eyeglass frames from the late 19th Century all the way through the mid-20th Century. We finally wised up and found other, less volatile, plastics for eyeglass frames, but cellulose nitrate is still used today in the manufacture of smokeless gunpowder, printing ink, wood varnish, foil and film lacquers, automotive paint, fingernail polish, leather finishes, adhesives and coatings to protect silver and other tarnishable metals. And now you understand why you shouldn’t smoke, light a candle or crank up your space heater in the presence of any of these products. Celluloid nitrate’s cousin and successor is a compound known as cellulose acetate, or “acetate” for short. This more stable compound comes cellulose, usually derived from wood pulp (birch, eucalyptus) or cotton, treated with acetic anhydride (basically, vinegar minus the water molecules) to make the fibers soft and pliable. In this form, it is used to manufacture cloth. 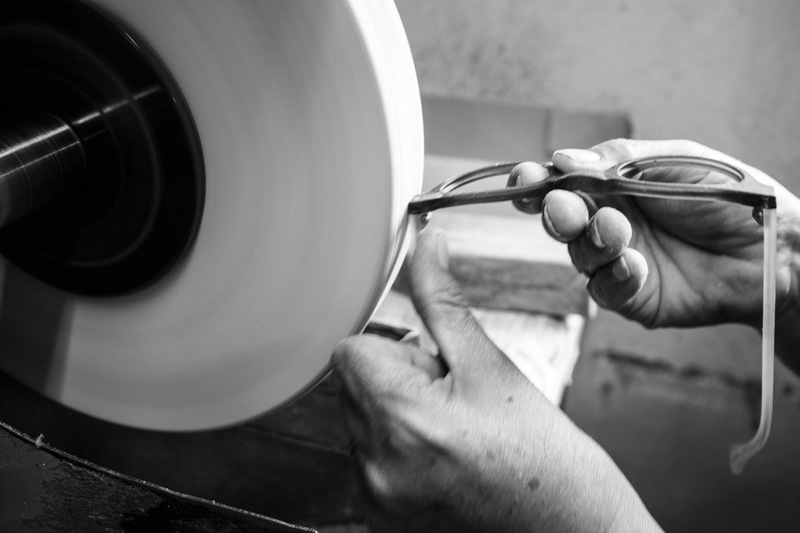 For eyeglasses, cellulose acetate is bound with plasticizer, such as diethyl phthalate, to give it the strength and rigid structure needed to mold frames. While the CDC has issued health warnings about direct exposure to diethyl phthalate, it is so strongly bound into the acetate that it cannot leach out at temperatures below 122 degrees. The latest eyewear plastics are nylon-based, which makes them stronger and more flexible than cellulose acetate. Because nylon molecules have a strong bond, eyeglass manufactures can use less of it, which means thinner, sleeker and lighter eyewear – up to 72% less weight than cellulose acetate. Nylon also accepts dyes very easily, which means a wider range of colors, including translucent shades that look like frosted glass. The only down side is that they are vulnerable to shrinking when exposed to heat, so don’t leave those designer sunglasses on the dash of your car! If you really want a pair of glasses that you can abuse, look for frame made of Ultem ® (PolyEtherimide) resin. It’s resistant to heat, UV rays and chemical exposure. Because of these properties, it’s widely used in the medical and chemical industries. Like nylon compounds, it is light-weight and can be molded super thin. You can get temple pieces as narrow as 1.2 mm for that “barely there” look. And, your eyeglass frame could be 50% lighter than a comparable one in metal.